Taser X26C Kit Black w/Silver Grip Plates with Laser, LED, 6 Live Cartridges, Soft Carry Holster, Target. 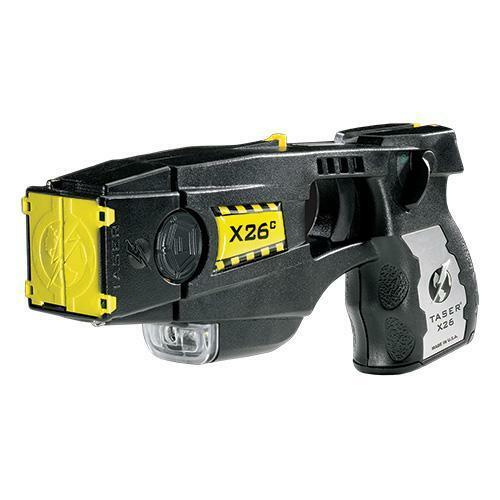 The TASER X26c series offers the highest take-down power available. With innovative Shaped Pulse™ and Electro-Muscular Disruption (EMD) technologies, the TASER X26c temporarily overrides the central nervous system, limiting muscular control. It debilitates even the most aggressive persons and is even effective on persons under the influence of drugs and/or alcohol.